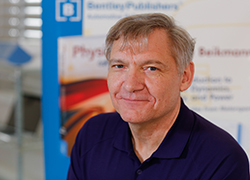 Randy Beikmann holds a Ph.D. in mechanical engineering from the University of Michigan. He is a technical specialist in automotive noise and vibration at the General Motors Milford Proving Ground, where he has worked since 1983. He has published numerous papers on power­train noise and vibration and has helped design and teach classes at GM within his engineering specialty. He currently holds ten patents.